What's Your Last-Minute Go-To Food Plot Seed? I don’t know about you, but these days, I’m busier than ever. Most times, August arrives, and I find myself still looking at full bags of seed that I bought in May. The day-to-day grind is usually a brutal one. And that generally leaves me frantically putting in last-minute food plots. Sadly, you can’t plant just any seed this late in the year. Some seeds won’t have time to reach maturity before cold weather arrives, and others wouldn’t survive the colder temperatures even if they did. Here we have five different plants that will weather the elements and provide fall and winter whitetails with bountiful forage. General planting instructions are listed, but follow specific instructions listed on labels of the seed you purchase. Begin by spraying the food plot to kill weeds and grass. Continue with a soil test to determine soil composition. Most plants need a 6.5 to 7.0 pH level to grow well. Apply the appropriate amount of fertilizer and lime. If you do not have the time or resources for a test, apply 10-10-10 or 13-13-13 fertilizer according to acreage. Use a disc to work the fertilizer and lime into the ground while turning and exposing the dirt. Run a cultipacker or truck tires over the ground to flatten and firm the soil. For a complete guide to making this decision, check out Brian Lovett’s feature from a few months back. We’re looking at a different twist here — annuals versus perennials as last-minute food plots. There is a clear winner. In most cases, annuals are best suited for procrastinator plots for several reasons. Perennials are much more vulnerable to weeds. Perennials tend to produce less forage in harsher weather. Annuals are generally better equipped for colder temperatures. Also, they are meant for bulk production in a short window of time. This usually works better for hunters because most food plots are small. This will decrease the chance of over-browsing. But, as a procrastinating food plot planter, the number-one problem is perennials grow slower. This isn't good when waiting until the last minute to plant. In theory, solid food plot programs will incorporate both sides of the plant family. But it’s usually best to plant annuals when time is an issue. Here are five of the best options for last-minute plots. This is arguably one of the most popular food plot choices for whitetails. There are an array of options. Turnips, radishes, canola, and rapeseed are all great. Most brassicas are attractive because of one thing: glucose. The first hard frost causes a chemical reaction in the plant that encourages significant increases in glucose. This once-bitter plant suddenly becomes sugar-rich. Deer hit it hard once that happens. This is better suited for northern states and is usually pulling the deer by late October. Brassicas are not as attractive to deer in southern states because temperatures are not usually cold enough to activate glucose levels until very late in the season. Planting: This is not a finicky seed. It’s always best to prepare the soil as best as possible. But this type of plant can still grow with less-than-well-tilled soil. Plant no deeper than ¼-inch. This highly-palatable plant doesn’t require a cultipacker either. Just run a four-wheeler or truck over the plot. The tires will ensure good seed-to-soil contact. Oats are a great choice for cereal grain lovers. It has been a popular choice by deer hunters for a long time. They are high in carbohydrates and draw deer when other plants won’t. Grains get tough as they get bigger. Most grains are early-growth hotspots because of that. Oats stay smaller longer, giving them a larger window for optimal consumption. Planting: Oats need well-tilled soil. That’s their downfall. Don’t plant oats if you don’t have the resources to work the ground well. Plant seeds approximately ½-inch deep. Pack once planted for good seed-to-soil contact. Wheat is good. But wheat has a bad side. It doesn’t provide as much forage as most plants. Because of this, many hunters and land managers plant a blend of wheat and clover. They make a good pair when planting to feed whitetails. Wheat also is a high-carb plant. Like oats, it is preferred in its early growth stages. In mid-latitude states such as Missouri and Kentucky, wheat becomes very attractive to deer late-October to mid-November. Planting: Wheat is easy to grow and a suitable choice for wet ground. That said, it will still grow in dryer conditions. Good seed-to-soil contact is necessary. So working the ground is a must. Plant seeds 1 to 1½ inches in depth. Use a cultipacker to pack the ground after seeding. As mentioned, annuals aren’t as susceptible to weeds. So, depending on what you plant, spray accordingly. Don’t waste the time or money if the food plot grows and chokes out the weeds. Some food plots — such as clover — need to be mowed in order to retain their tender state. Mowing will not be necessary with the five plants listed here. This plant is a resilient one. It takes winter’s punch square on the chin and keeps chugging along. If given adequate time to grow, and given proper growing conditions, it may grow up to five feet in height. I’ve planted every seed on this list. None of them were hit harder by whitetails than this one. Deer love it, and my pass-through arrows do, too. Planting: This seed needs a well-prepared seed bed. It can grow in clay soil but grows best in a loamy mix. Plant seeds no deeper than 1 inch. Run over the food plot with a light cultipacker for good soil contact. Moist or dry conditions are acceptable for adequate growth. This small cereal grain is possibly the toughest of the grain family. They take cold temperatures better than most. It even resumes rapid growth in the spring once temperatures rise. Planting: Winter rye accepts a wide range of soil. It also accepts a wide range of moisture levels. Furthermore, it doesn’t take a great pH level to keep it alive. Plant no deeper than 1 inch into the soil. Run over the food plot with a light cultipacker. The last thing you want to do is plant any old seed. There are many plants out there that require more energy to digest than is provided to the deer upon digestion. 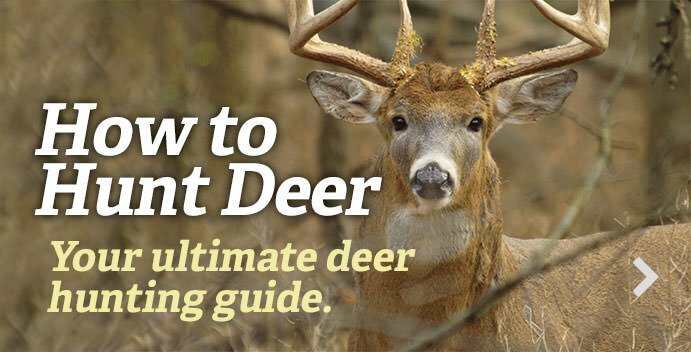 In essence, certain foods that deer can eat will starve them when they consume them. Luckily, deer are good at recognizing what not to chew. Don’t waste your money on low-return food sources. Choose a food plot option that will benefit your deer herd and your hunting. Deer have personalities just like we do. They have food preferences just like we do. I’ve studied tens of thousands of trail camera photos over the years. I’ve watched a lot from the stand. I quickly determined that certain deer prefer certain food sources. If you know what your deer like, plant it. If you don’t, experiment. Plant something they can’t get from your neighbors. Don’t give up hope. There is still time to get that seed in the ground. Editor's Note: This was originally published August 26, 2015.